For many people who suffer traumatic brain injuries, these symptoms impact the ability to earn a living, the quality and nature of relationships, and even the ability to manage day-to-day decision-making and self-care. According to the Centers for Disease Control and Prevention (CDC), TBIs contribute to about 30% of all injury-related deaths in the U.S. In a single year, more than 280,000 people were hospitalized with TBI, and another approximately 2.5 million visited emergency rooms. Of course, every case is different. A local personal injury attorney experienced with traumatic brain injury cases can provide a more specific assessment of the compensation that may be available in your case. A traumatic brain injury may be caused by a blow to the head, a penetrating injury, or even a strong jolt that jars the head, causing the brain to collide with the skull. While this type of injury can occur in many ways, from a slip and fall on the ice to a high school football game, a significant percentage of TBIs result from a handful of causes. Falls are the leading cause of traumatic brain injury, accounting for nearly half of all emergency department visits, hospitalizations, and deaths from TBI. Fall-related TBI is particularly common in children and the elderly. However, other populations also face significant risks. For example, hundreds of construction workers die from traumatic brain injury each year. More than half of those deaths are attributable to falls. 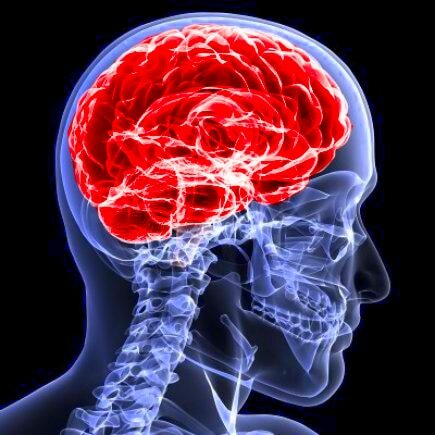 Motor vehicle accidents are also a leading cause of traumatic brain injury. While the CDC reports that motor vehicle accident TBI hospitalizations and deaths have declined since 2007, when automobile accidents were the leading cause of traumatic brain injuries, hundreds of thousands of car and truck accident victims still sustain TBIs each year. Motorcyclists are at an increased risk of serious brain injury, since they are not sheltered by the vehicle as those in cars, trucks, and other passenger vehicles are. While wearing a helmet decreases the likelihood of a traumatic brain injury, it doesn’t provide complete or guaranteed protection. One study showed that about 15% of helmeted motorcyclists treated at hospitals suffered brain injuries, versus 21% of those who were not wearing helmets. The types of injuries that most often result in TBIs, such as falls and motor vehicle accidents, are often preventable. When a construction worker falls from an upper level and sustains a TBI or a passenger in a car sustains a brain injury in a traffic crash, chances are good that someone’s negligence caused that injury: inadequate safety measures on a job site, distracted driving, a poorly-designed intersection, or other failure to exercise due care. When you’ve been injured through someone else’s negligence, or have lost a loved one to a traumatic brain injury that could have been avoided, you may be entitled to recover damages. Attorney Kevin J. Broderick has built his legal practice around helping injured people secure the compensation they need to rebuild and move forward with their lives. To learn more about how the Broderick Law Firm can help, call 978-459-3085 or fill out the contact form on this site. GET A FREE CONSULTATION, NOW! Let Attorney Kevin Broderick answer your questions and evaluate your personal injury or vehicle accident case for free!